A tiny prairie town of 3,200 on the state line in northeastern New Mexico, Clayton welcomes many Texas snowbirds in the winters en route to the New Mexico and Colorado mountains. Long before, Santa Fe Trail wagon caravans rumbled westward near here, and the vast buffalo plains surrounding Clayton nurtured great herds of cattle. In town, meanwhile, sits the nearly 100-year-old Luna Theater, which operates today as one of New Mexico’s oldest movie houses, and the state’s best preserved from the silent movie era. The reason for its success: New Mexico’s MainStreet Historic Theater Initiative, the only program of its kind in the nation to actively invest in rural downtown theaters to keep them as economic anchors for their communities. The Luna -- originally known as the Mission Theater – has a colorful past. 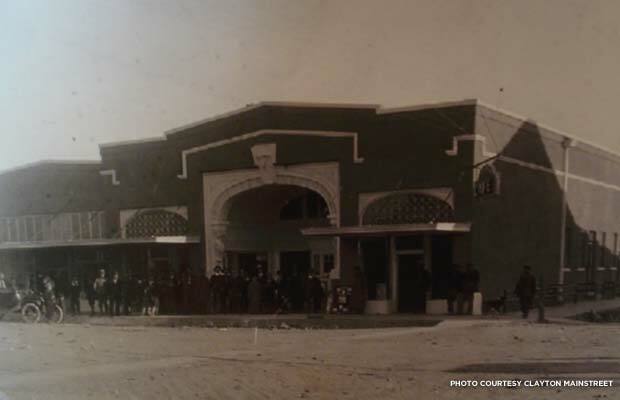 Prosperous merchant and rancher Morris Herzstein built the theater and adjacent business block in 1916 after a disastrous fire wiped out his headquarters mercantile store. Built in a unique fusion of Classical and Mission-style architecture, the theater’s facades survive intact, while the generous recessed entry foyer boasts an ornamental ceiling laced in gold paint. Before the Great Depression, the Mission Theater flourished and provided the magic of movies in Clayton, including memorable Christmas matinees offered free to children where Santa Claus would appear and give small presents to the crowd. Hard times in the 1930s led to a remarkable cooperative booking and management company called Gibraltar Enterprises, composed of about thirty-five small town theaters in New Mexico, Colorado, Nebraska, and Utah. Gibraltar owner T.F. Murphy bought the Mission Theater in 1935. He installed a new sound system, heating, leather seats, Art Deco light fixtures, and a new neon marquee bearing a winking moon -- ideal for the newly renamed Luna Theater. The Luna Theater facade in 1916 (then known as the Mission Theater). The Luna then enjoyed a long and successful run under Gibraltar management and was finally sold in 1984 to couple Roy Dean Leighton and Nancy Leighton. Roy Dean had taken a job at the Luna as a film projectionist to help make ends meet for their ranching business. But soon the theater’s mystique wooed the couple, and they opened for business on January 1, 1984 with Ghostbusters. The couple gave the Luna their blood, sweat, tears, money and a whole lot more for nearly thirty years. They offered Hollywood’s finest on the screens, but struggled behind the scenes with a leaky roof and outdated heating system, the bane of many rural movie houses. At the same time, the community of Clayton was fighting the growing tides of declining cattle business, population loss, global economics, and the challenges of surviving on the hardscrabble prairies of America’s heartland. By 2006, Clayton joined the New Mexico MainStreet program to create a volunteer-driven program to revitalize the downtown business district, which included the Historic Theater Initiative. 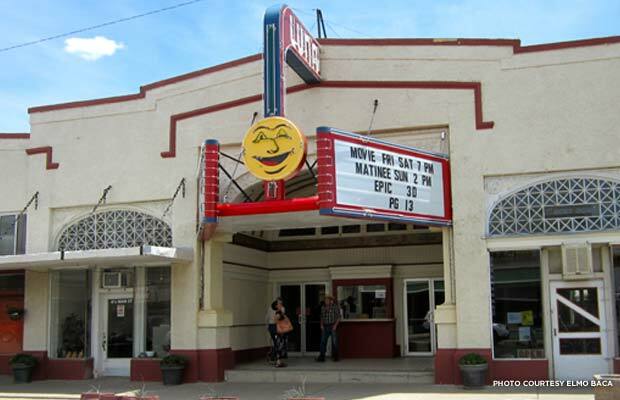 The Town of Clayton purchased the theater from the Leightons in 2009 with a New Mexico MainStreet grant, and became a development partner in the Luna Theater project with the goal of transforming it into an advanced digital cinema while preserving and restoring its historic architecture. The community responded with thousands of hours of volunteer support. National Honor Society students from the high school worked the concessions stand for free. The Geo Group, which operates a lower security adult detention facility near Clayton, donated many inmate work crews to clean floors and realign auditorium seating to modern comfort standards. Union County donated a used, but still effective, boiler to the theater from its Courthouse. 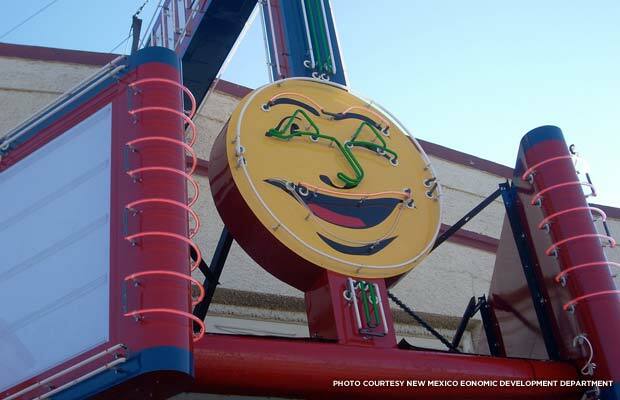 The State of New Mexico also provided additional funding for essential upgrades, such the digital projection equipment and surround sound system. Several community members were trained in digital projection, computer server operation, and internet delivery and monitoring. Above it all shines the iconic marquee, restored early in the process by the Town and Clayton MainStreet, and which remains one of New Mexico’s most beloved street signs. Now whenever you go to see a movie at the Luna, your journey begins under the friendly winking moon, takes you through the classical foyer, pauses at the concession stand for popcorn, and ends in the cool, dark auditorium. Settle in for the film that will transport you to a galaxy far, far, away, and the picture appears with such clarity and depth that you forget you are in an old nickleodeon theater on the New Mexico prairie. But thanks to the Historic Movie Theaters Initiative, Clayton won’t forget its special theater any time soon. The original version of this article appeared on MainStreet.org. Have a story idea that might be interesting and engaging for a national audience? Email us at editorial@savingplaces.org.